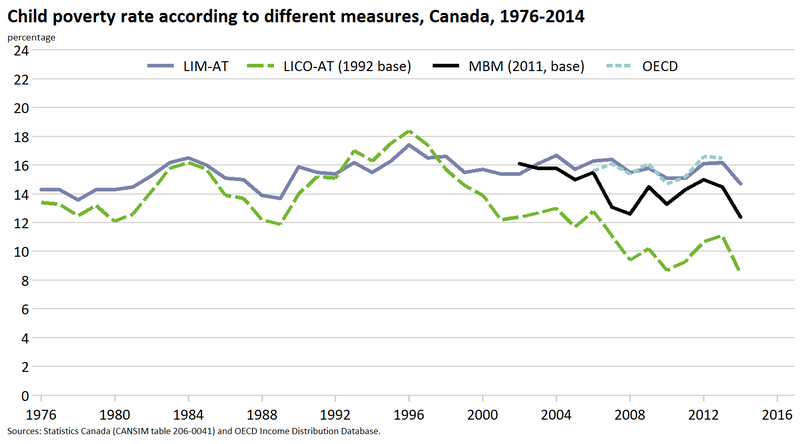 In 2010, 20.3% of all Canadian families with children under age 6 were living below the Low Income Measure (LIM)* – or in poverty. There were significant differences between provinces and territories. In 2010, the lowest poverty rate among families with young children under 6 was in the Yukon Territory at 13.3%, followed by Quebec at 16.6%.The highest rates were in Nunavut (36.6%) and Manitoba (28.7%). The rate of poverty was much higher for lone-parent families. In 2010, 57% of all lone-parent families with children under 6, were living below the Low Income Measure. That was almost three times the rate of all families with children under 6. 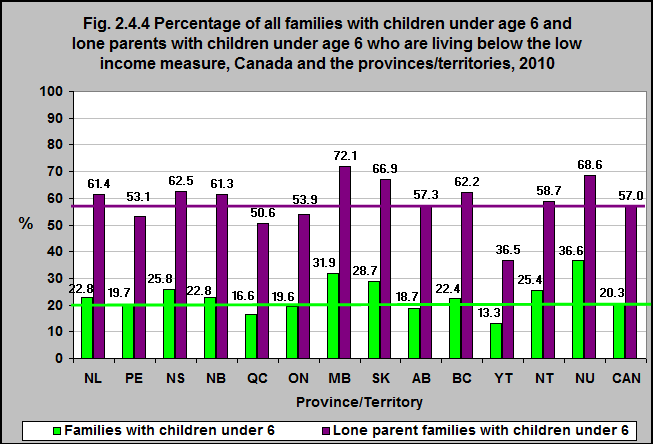 The highest rates of poverty among lone-parent families with children under 6 were in Manitoba – where almost 3/4 of these families lived below the Low Income Measure, and in Nunavut, followed by Saskatchewan where 2/3 did.